Höstfest (“autumn fest”) takes place on October 10th and 11th in Ilokivi, Jyväskylä. 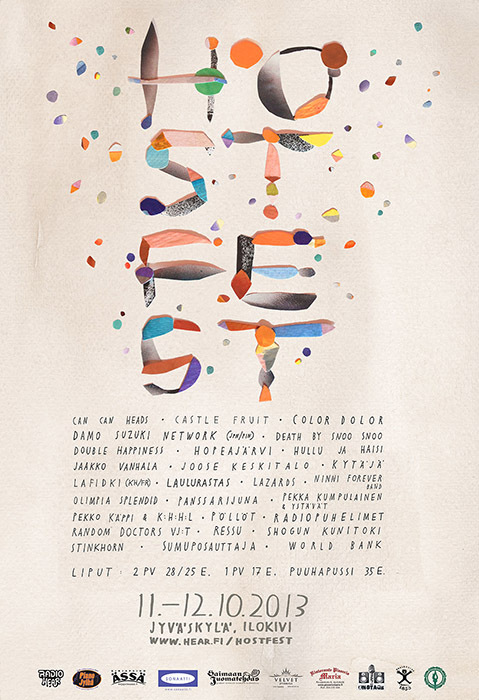 Jyväskylä's autumn's biggest music festival focuses on indie and underground music, i.e. “undie music”. This is probably the best chance to get in touch with the latest and the hottest indie and underground artists from Finland and abroad and one should not miss it! Buy your tickets now from this website or Bar Vakiopaine (Kauppakatu 6). Hurry before they're all sold out! The festival will be broadcasted live on Radio Hear. Höstfest invited DAMO SUZUKI to Finland. Suzuki is the most famous vocalist of the krautrock band CAN in which he performed in the early 70's. Damo Suzuki's Network is a global network of musicians that expands with every performance. With Damo Suzuki Can made the classic records Soundtracks, Tago Mago, Ege Bamyasi and Future Days. Their freely floating hypnotic music has influenced countless musicians; The Fall, PIL, Joy Division, Suicide, David Bowie, Talking Heads, Sonic Youth, Pavement, Primal Scream, Brian Eno and many more have named Can as their important influences. 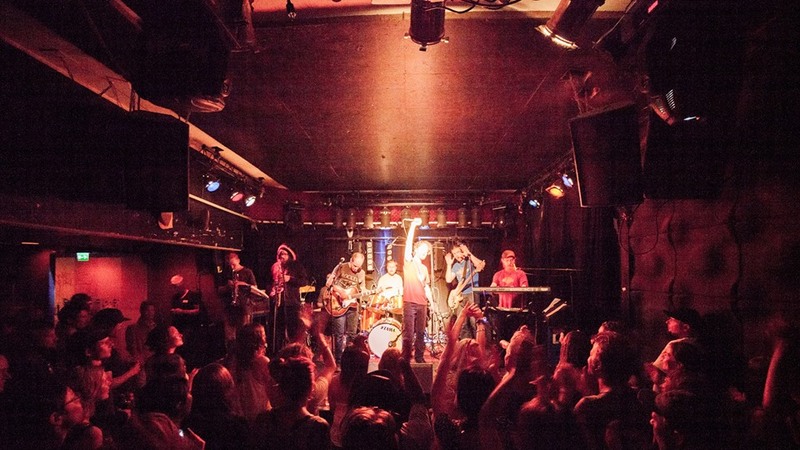 This year there will be an extraordinary return to the crime scene when the Jyväskylä based roots reggae band LAULURASTAS from the early 2000’s plays a gig at Ilokivi with the original line-up. Last summer Laulurastas rose from the grave and played their first gig in 12 years. At Höstfest the band memorizes their career from the early hypnotic dance floor psalms to later modern tracks. There are also some new songs to be heard. On Höstfest Saturday there will be a happy reunion as RADIOPUHELIMET - which performed at the first Höstfest in 2008 - returns to Ilokivi. They have just released a critically acclaimed acoustic album “Ei kenenkään maa” (No-one’s land). Familiar faces from Höstfest history can also be seen as BARRY ANDREWSIN DISKO and Ninni Luhtasaari's (Pintandwefall) NINNI FOREVER BAND take the stage. Coming to perform for the first time in Jyväskylä are the acclaimed traumablues-band PANSSARIJUNA, WORLD BANK (which is a special project of Samuli Tanner who is the producer of Clouds and Tiiu Helinä), JOOSE KESKITALO's new trio line-up, the cambodian-french LAFIDKI and also HOPEAJÄRVI, OLIMPIA SPLENDID and KYTÄJÄ. VJ Collective RANDOM DOCTORS offers visual magic to Höstfest people. There will also be some surprises, so don't miss HÖSTFEST 2013!